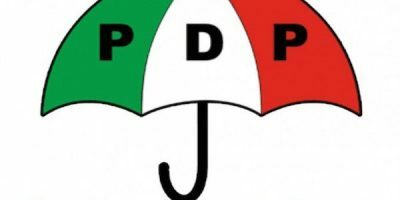 The Peoples Democratic Party, PDP, has declared that the leadership of the All Progressives Congress, APC, has been turned into a funeral parlour. It said wailing and gnashing of teeth was now a daily routine for millions of her citizens. Kola Ologbondiyan, National Publicity Secretary of the Peoples Democratic Party (PDP), made this claim while playing host to members of the party from his Kabba/Bunu Constituency of Kogi State at the party?s national secretariat on Wednesday. Ologbondiyan, while thanking his constituency for the visit, tasked them to go home and impressed it on others that 2019 is a year of decision that must be taken to salvage the nation ?from the grip of backwardness typified by the ruling APC.? He said: ?Nigeria is passing through perilous times. Today, our country is turning into funeral parlour by the APC. You need to let our people know the current state of the country so that they will not make the mistake they made in 2015 by voting for Muhammadu Buhari. We don?t need anybody to tell us that we are suffering. ?It is unimaginable that while Nigerians are suffering untold economic hardship, including unpaid salaries, due to the misrule of the APC, governors elected on the platform of the APC diverted N150 million each, amounting to a humongous N3.6 billion to fund their wasteful national convention in Abuja. ?Recently, the Brooking Report shows that under President Buhari and APC governors, millions of Nigerians are daily dropping below poverty line. According to the report, Nigeria under Buhari has become poverty capital of the world. There is hunger and starvation everywhere, yet the APC stole N3.6 billion from public coffers to fund its national convention. ?Everybody knows that APC is a party of corruption. That is why their choice of a national chairman is an individual overburdened by allegations of humongous corruption and alleged stealing of public funds, yet enjoying presidential cover, even when the petition against him at the EFCC is in the public domain.? He condemned the manner of emergence of the new APC national chairman, Adams Oshiomhole, saying he must be investigated for alleged corrupt deeds if the President Buhari administration is to be taken seriously in its fight to rid the nation of corruption. ?The PDP restates its demand that the EFCC immediately commence investigation against Oshiomhole, otherwise, it would have no ground upon which to continue to arrest, investigate and arraign other Nigerians on allegations of corruption?, he said. He further noted that the PDP has tasked the Independent National Electoral Commission (INEC) not to recognize Oshiomhole, ?as his emergence by affirmation is a violation of democratic requirements of direct voting by delegates. ?You will recall that in 2012, we had a convention which INEC declared a nullity because they said we did not follow the rules?. As we speak today, the coronation that INEC conducted at Eagle Square did not fit into any of our electoral laws. We therefore call on INEC to declare it null and void. All those who did not go through votes at the convention, all those who were elected by voice votes, INEC must declare their elections null and void because they did not go through the electoral laws.? ?Each time President Buhari poses as a man of integrity, informed Nigerians shudder. If he is a man of integrity, why is he condoning corruption in his presidency and surrounding himself with corrupt people? Why is he blocking the investigation of Oshiomhole over corruption allegations? Why did he allow looted funds to be used for his party?s national convention? Buhari is not a man of integrity as his handlers want Nigerians to believe?, he added.